Administrative Law Judge (ALJ) Adrienne L. Krikorian, Office of Administrative Hearings (OAH), State of California, heard this matter on July 30, 2012 at Van Nuys, California. Student’s mother (Mother) represented Student at the hearing. Student also attended the entire hearing. Attorney Airionna Whitaker, of Fagen Friedman & Fulfrost, LLP, represented the Los Angeles Unified School (the District). Tonya Roberts, specialist with compliance support and monitoring, attended the entire hearing on behalf of the District. 1 In her closing brief, Mother raised facts that were not included in her testimony under penalty of perjury during the hearing. District did not have an opportunity to cross-examine Mother regarding the new facts. The ALJ considered Mother’s closing brief only for purposes of argument, and did not consider the new facts as additional evidence. 2 At the hearing, Mother stated that she was withdrawing her request for a finding as to whether District should have provided Student with after-school transportation to Tarzana Day Care Center, as previously articulated in OAH’s prehearing conference Order dated July 23, 2012. Mother also claimed at the hearing that District denied Student a FAPE in the May 7, 2012 IEP by failing to address his needs in the area of danger and safety awareness and by failing to include any goals in the IEP relating to danger and safety awareness. These claims were not alleged in Student’s complaint. A party who requests a due process hearing may not raise issues at the hearing that were not raised in his request, unless the opposing party agrees to the addition. (20 U.S.C. § 1415(f)(3)(B); Ed. Code, § 56502, subd. (i); County of San Diego v. California Special Education Hearing Office (9th Cir. 1996) 93 F.3d 1458, 1465.) Consequently, the ALJ reached no conclusions of law concerning these claims. 1. Student is a 10-year old boy who lives with Mother within the District’s boundaries. He is eligible for special education under the category of autistic-like behaviors, and has additional medical needs that occasionally require adult emergency intervention. During the 2011-2012 school year, Student attended the fifth grade at the District’s Lokrantz Special Education Center (Lokrantz). 2. District employs Mother as a teacher at Northridge Middle School (Northridge). She testified at the hearing as Student’s only witness. 3. District employee, Beth Anderson, is the assistant vice-principal for special education at Lokrantz. Ms. Anderson has been an educator for more than 20 years. She holds a bachelor degree and two master degrees, and is a licensed speech pathologist. She testified for the District at the hearing. 4. Lokrantz’s campus only serves children with IEPs. The Lokrantz administration, with parental consent, may offer as part of transportation services for its students a courtesy drop-off at an after-school day care program in situations where the school of residence does not offer a similar service. 5. During the 2011-2012 school year, Student attended a private after-school program funded by the Los Angeles County Regional Center (Regional Center) at Tarzana Day Care Center (Tarzana Day Care). At the after-school program, Regional Center provided a 1:1 aide to work with Student on developing social skills. 6. Ms. Anderson attended Student’s October 11, 2011 IEP, at which the District offered Student. among other services, round-trip home-to-school transportation as a related service. Student finished his school day at 2:30 p.m. on Mondays, Wednesdays, Thursdays, and Fridays; on Tuesdays he finished at 1:30 p.m. Lokrantz informally accommodated Mother’s request to modify the round-trip hometo-school offer by dropping off Student at Tarzana Day Care after school instead of home. The informal accommodation was not part of Student’s IEP. 7. On May 7, 2012, the District held an IEP team meeting to discuss Student’s placement. Mother, Ms. Anderson, and Student’s special education teacher Yula Rodriguez attended the IEP meeting. The IEP team reviewed Student’s present levels of performance, including Student’s level of safety awareness and his progress in the area of social skills development. Student met five of his six goals, in the areas of reading, writing, math, speech and language, and language arts. He did not meet his goal in Adapted Physical Education (APE), an area in which the team noted that his skills were still emerging. In the area of behavior, he had difficulties participating in non-preferred activities, and needed to learn how to follow directions and to transition to different activities without complaining. He had difficulties choosing a leisure activity and telling about his preferences. He required visual supports and written instructions for classroom tasks, small group instruction and 1:1 instruction for new skills, in addition to modification of tasks to suit his needs. The District members of the IEP team concluded that Student had sufficient safety skills awareness and exhibited the skills necessary to recognize danger. 8. The IEP team developed seven annual goals for the 2012-2013 school year in functional reading, functional writing, functional math, physical education, speech and language, behavior, and social communication. The District then offered Student placement for the 2012-2013 school year in an autism program at Danube Elementary School (Danube), where he would spend 800 of the 1600 daily instructional minutes mainstreaming with typical peers in a general education setting, as well as during recess and lunch periods. The District also offered accommodations including small group instruction, modeling of age-appropriate social, language and behavior skills, redirection as needed, a predictable schedule and routine, and positive reinforcement. It also offered as additional supports adult supervision and signal transitions. Finally, the District offered related services including extended school year (ESY); APE two times weekly for one hour; and school-based language and speech (SL) during ESY 90 minutes a month, and 30 minutes a week during the 2012-2013 school year, both in a collaborative model. The District also offered training of designated school staff by the school nurse to address Student’s unique medical needs both on campus and on the school bus. 9. Mother asked the District to include Student’s after-school day care program, and specifically the Regional Center funded 1:1 aide, in his IEP as a service because she felt that the after-school program was benefitting Student in the area of behavior and social skills development. The District declined to do so. 10. The May 7, 2012 meeting recessed at Mother’s request, and reconvened on May 23, 2012 by telephone conference. Ms. Anderson and Ms. Rodriguez attended. The IEP team discussed transportation services relative to Student’s needs. The District team members discussed their conclusions that Student had good verbal skills, danger awareness and mobility. Mother disagreed with the District’s evaluation of Student’s danger awareness. 11. The District supplemented the May 7 IEP offer at the May 23, 2012 IEP team meeting to include school-to-school transportation for 2012 ESY and the 2012-2013 school year. The District’s transportation offer contemplated that Mother would take Student to Northridge in the morning where the school bus would pick Student up and transport him to Danube. Student would sit near the front of the bus near the driver at all times to insure an immediate response in the case of a medical emergency. At the end of the school day, the bus would pick him up from Danube and then return him to Northridge. Mother asked the District to consider adding the accommodation of transporting Student after school to Tarzana Day Care instead of to Northridge. Ms. Anderson responded that, because Student would be placed at a different school location, she could only offer school-to-school transportation from one District campus to another, or home-to-school transportation, and that mother would need to make any request to the contrary to the District independent of the IEP process. 12. Mother consented to the entirety of the IEP except for the District’s offer of transportation. She later unsuccessfully attempted through the District to arrange for the bus to take Student to Tarzana Day Care. She then decided to send Student to the Northridge Recreation Center (NRC) after school program, which was 4.8 miles from Danube. In contrast, the route for Student’s after school drop off at Northridge, as offered by District, was 6.8 miles. 13. Mother’s workday ended at 3:30 p.m. on all school days except Tuesdays when it ends at 4:30 p.m. Using transportation as offered by the District, Student would arrive at Northridge within one hour after the completion of his school day. Because of her work schedule, Mother could not drive Student to his afterschool program at NRC every school day, resulting in Student missing his sessions with the Regional Center 1:1 aide for those days that she could not drive him to NRC. 1. Student contends that the District denied him a FAPE by failing to offer transportation services to Student’s after-school program at NRC, which would result in Student missing his after-school program. 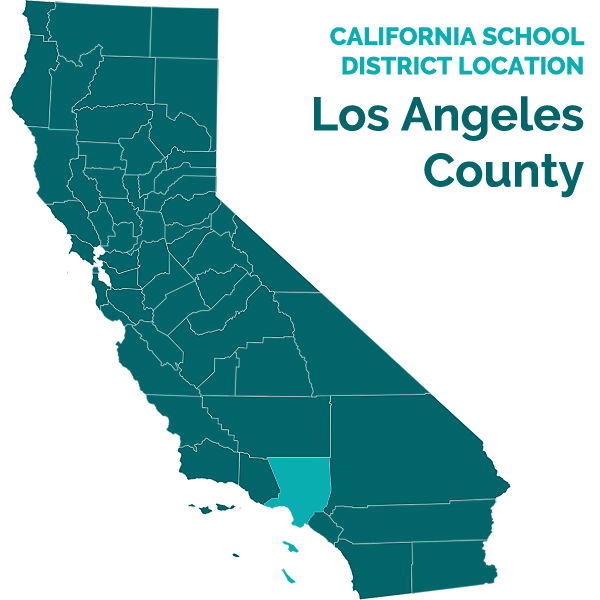 Student also contends that because of Mother’s work schedule and that the distance from Danube to his after-school program was shorter than to Northridge, District should have made the accommodation requested by Mother because it was reasonable. 2. The District contends that the transportation offer included in its May 7, 2012 IEP as supplemented on May 23, 2012 complied with the IDEA and its associated regulations and therefore the IEP offer was a FAPE. 10. Student failed to establish by a preponderance of the evidence that District denied him a FAPE when it declined to offer transportation services to Student’s after-school program. IDEA regulations only require transportation to and from school and between schools, or transportation in and around school buildings. IDEA regulations do not provide for district funded-transportation to private afterschool programs. (See Legal Conclusion No. 6.) In addition, case law provides that school districts must only provide transportation to a disabled child to address his educational needs, and not to accommodate a parent’s convenience or preference. (See Legal Conclusion No. 7.) Here, the evidence established that Mother wanted District to transport Student to his after-school program because Mother’s work schedule did not permit her to leave work in time to transport Student there. Given these factors, Student failed to establish that District denied him a FAPE by declining to offer transportation services to Student’s after school program. 11. Although Mother argued in her closing brief that the mainstreaming opportunities offered in the May 7, 2012 IEP, as supplemented on May 23, 2012, were insufficient to meet Student’s social skills needs, the argument was not an issue raised in the complaint or agreed to by the District. Consequently, the ALJ did not consider it as a claim requiring findings, for the reasons discussed above. 12. Mother also argued that District’s transportation offer posed a possible safety risk for Student. That issue was also not raised in the complaint or agreed to by the District. Consequently, the ALJ did not consider it as a claim requiring findings, for the reasons discussed above.